Thanks to Mary Haren (alto) for this roving reporter's report from Praha! On Thursday 27th November members of the Cavan Singers and their supporters flew to Prague to take part in the Prague Advent Choral Meeting. Choirs from Brazil, Russia, Norway, Belgium, Israel, Hungary, France and Czech Republic sang at the meeting over two days. Each choir performed for thirty minutes on Friday and Saturday. The Cavan Singers sang "Cavan Girl", " Viva La Vida", "Cantar", "The Kerry Dances", "Danny Boy", "Thank You For The Music", "Advent Candle", "O Holy Night", "Don Oiche Ud In mBeithil" and "In the Bleak Midwinter". Our musical director for the trip was Eileen Tackney and we were accompanied on the piano by Sue King. The success of our performances was due to the amazing talent of these two wonderful musicians. Our soloist for "O Holy Night", Pauline Brady, sang so beautifully that we received a standing ovation on both days. Our performance was very well received by all the other choirs and audience. Our weekend included a walking tour of Prague, a night time cruise on the river, and a wonderful meal with other choirs where we had a sing song that went on late into the night. The Cavan Singers know how to enjoy themselves! Prague is a beautiful city and our trip was made even more interesting by the Christmas markets which started on Saturday. The standard of singing and musicianship was very high and the Cavan Singers are proud to have been involved in such a wonderful occasion. I would like to give a special thanks to Liz Murray, Nora Kennedy and Rachael Cullivan-Elliot of the committee who put so much work into organising the event. The members of the Cavan Singers are wonderful people who love to sing, make friends, laugh, travel and enjoy life, and it is a pleasure to be part of it. 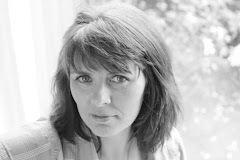 Winnie Hughes was the 6th Musical Director of the Cavan Singers, appointed in 2005. She was no stranger to us however, as we had often performed with both her Loreto College Cavan School Choir and Chamber Choir in concerts and carol services in the previous decade. She also conducted us when we performed with Cavan Cathedral Choir, St Patricks’s College Choir and Cavan Sinfonia. Winnie was equally at home conducting massed choirs singing sacred works, professional soloists, or smaller groups singing contemporary and popular classics. Variety was certainly the spice of our life with Winnie – we never knew what surprise the Tuesday night rehearsal might bring - she taught us songs without words, she introduced Barbershop singing, she even gave us kazoos! Winnie was the classic “larger than life” MD – she loved music, travel, history, wine and good company, and was never happier than when all of them were combined. She looked forward to planning the next trip, be it with the choir, her close friends, or her family. She took the choir on adventures as far and wide as Barcelona and the Flat Lake Festival in Monaghan! When illness struck, Winnie appointed our accompanist Sue King as interim MD, a role Sue assumed with supreme grace. Winnie resumed her singing with the Longford County Choir, and wrapped herself in her family and friends. She died on December 1st 2013. Cavan Singers were invited by her husband Kevin and sons Gareth and Harry to join the Longford County Choir colleagues to sing her funeral Mass with her friend Fintan Farrelly. For Winnie we sang, from The Armed Man, a final Benedictus. Ní beidh a leithéid ann arís.